We’re sure glad you’re here, Shari! It’s a terrific workshop so far! I’m so glad to be here Tina! It’s a very talented group and a great city. 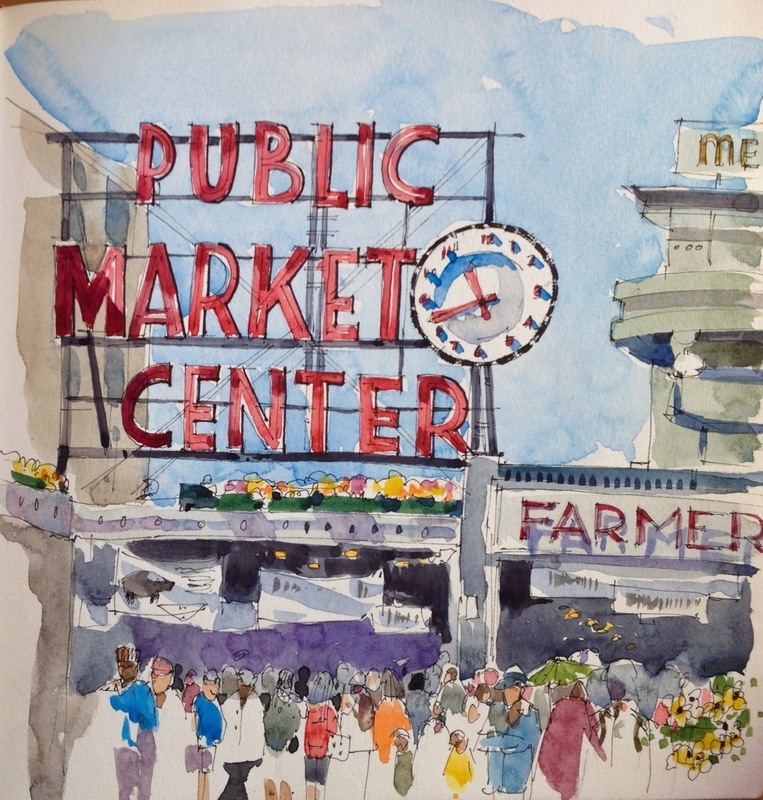 Of course I’m not doing much sightseeing which is why I had to sketch the market.